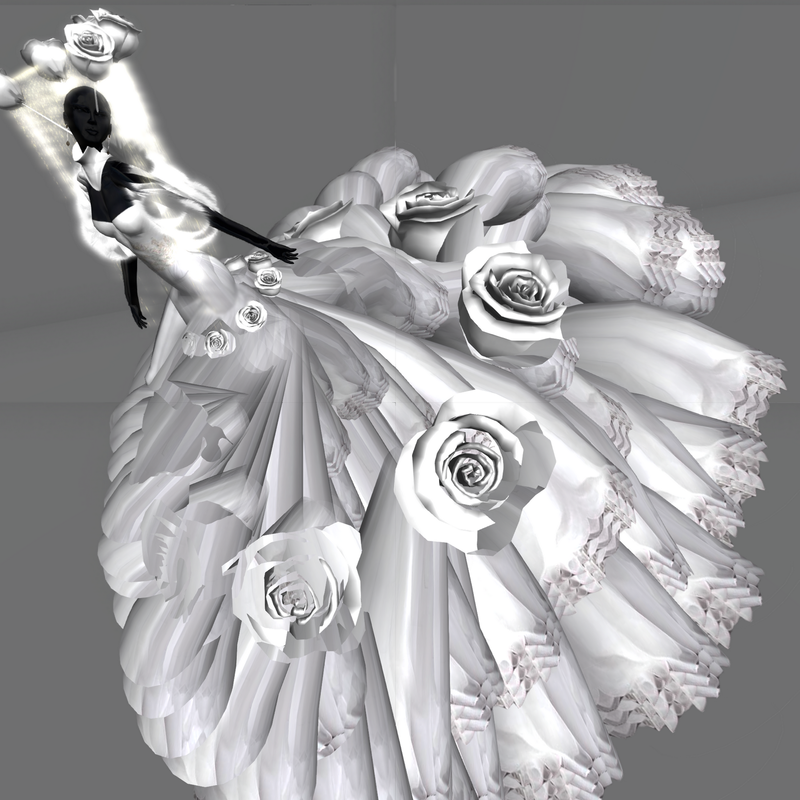 New In InWorldz. 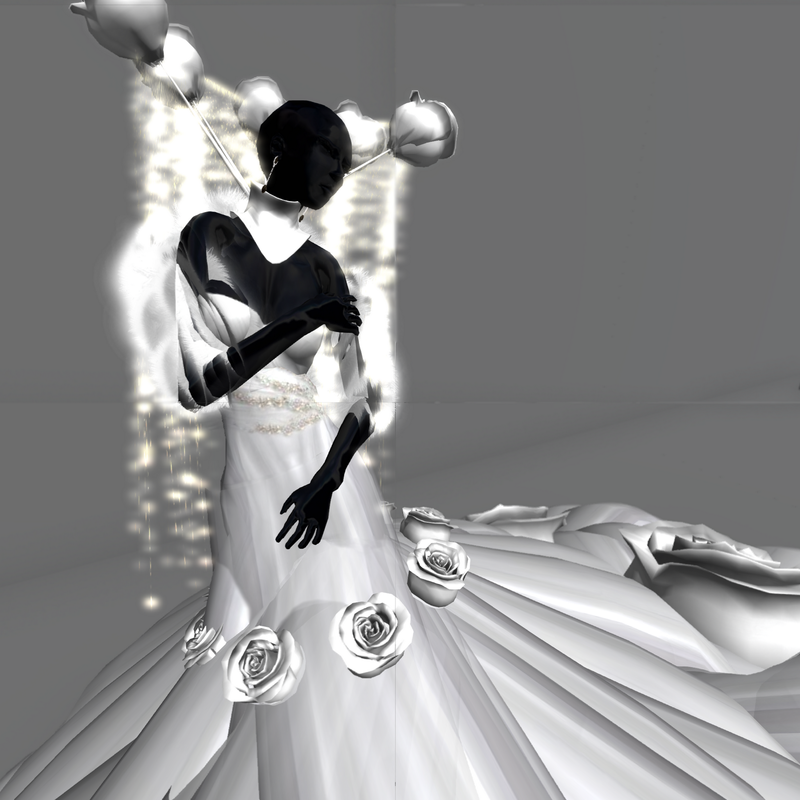 Marie Gown, demo Inworld. Rose diamond headband included. You won't find a wedding gown like this in any store but Kakia. Looking something unique? Walk down the isle in this fantasy gown. Renee Wedding gown is now available in InWordlz along with many formal ball gowns. You'll also find a selection of casual clothing and hair. Countdown has been releasing new outfits at an amazing speed ever since the store opened in September of last year. And this is one of the new releases that was released right before Christmas. It is a gorgeous wedding gown called Midori Gown that comes with a very unique but lovely head piece with a veil that looks more like a glowing stream of light. The outfit set comes with a pair of white pumps that is also sold separately in the store as Countdown, Gogo Pumps in white.